Located in the heart of the Smoky Mountains, Sevierville, Tennessee frequently draws in tourists eager to explore the surrounding mountains. In recent years its wine scene has given people another reason to visit the mountain town though. 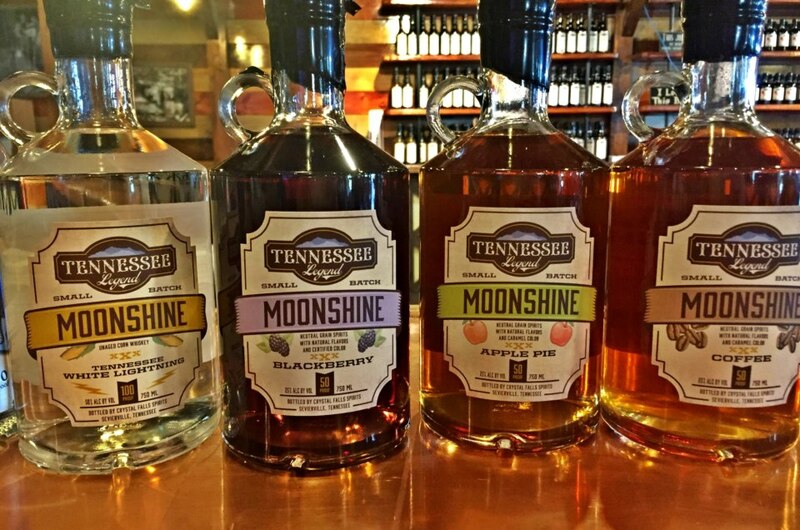 With a growing collection of wineries and a healthy dose of moonshine distilleries thrown into the mix as well, Sevierville is quickly gaining recognition for its unique spin on classic flavors. From apple wines to award-winning moonshines, here are the best places to unwind after a long day of exploring in the Smokies. Unlike the Northeast and Midwest where apple orchards are plentiful, folks in the South aren’t accustomed to enjoying them because the conditions for apple trees to bloom simply aren’t ideal. That’s why the Apple Barn Cider Mill & General Store is such a popular anomaly. The huge complex includes two restaurants, a winery, a candy store, and an ice cream store directly beside their local orchards. 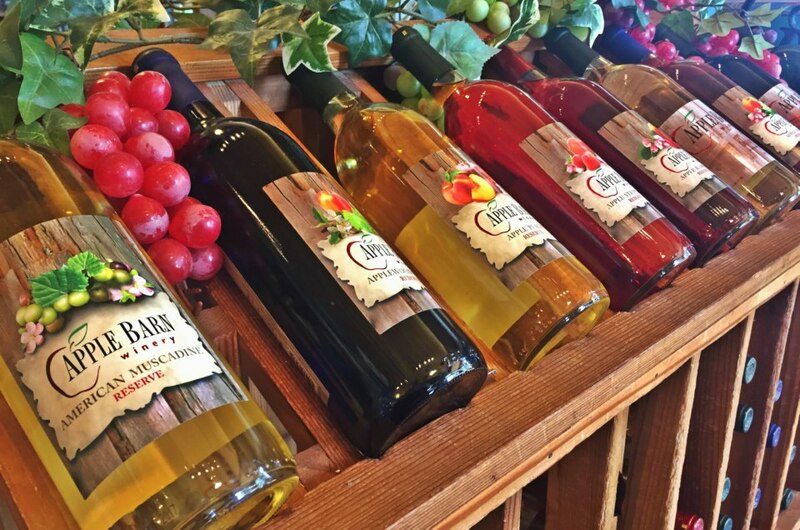 All the wines and ciders at Apple Barn Winery are made from the apples on the premises. In fact, you can even take a peek at the apple blossoms right outside the window as you try a glass or two. After your tasting, don’t forget to stop by the restaurant and pick up a few apple butters from the general mill store before heading home. There’s plenty to see, taste, and do in Sevierville. For wine lovers alone, there are five wineries in the Sevierville area. The best way to experience all that the wineries have to offer is by touring them on the Rocky Top Wine Trail. In true Smoky Mountains’ fashion the tasting flight includes four wineries and one moonshine distillery, ultimately ensuring you’ll get a true taste of Sevierville while you’re there. Most wineries offer tastings of up to four wines for free and a discount on bottles you purchase afterward. If you visit at least three of the wineries listed on the trail, you’ll receive a commemorative Rocky Top Wine Trail wine glass as a souvenir. Did you really go to the Smoky Mountains if you didn’t try moonshine? From apple wines to apple pie shine, the apple flavor is a favorite in this corner of the Smokies. The flavoring had a more practical purpose for renegade moonshiners during the Prohibition Era though. They quickly learned a few apple slices and cinnamon sticks disguised the distinctive corn smell from the potent alcohol. As long as they were discreet, moonshiners were essentially able to drink the homebrewed concoction as they pleased without needing to worry about any run-ins with the law. Nowadays, Sevierville is home to three local (and completely legal) distilleries: Thunder Road Distillery, Tennessee Legend Distillery, and Jakes Creek Distillery. Like the wineries, the distilleries each provide free tastings of their local brews; however, you can’t enjoy a glass of shine at their establishments. Instead, you’ll have to buy a bottle and enjoy it on your porch — the Tennessee way.